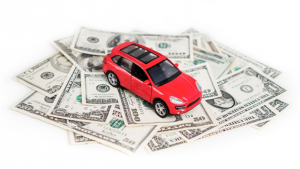 Auto Insurance: TRUE or FALSE? Rushing to buy car insurance is like playing a board game without reading the rules. While you may feel the need to be “covered” and get in the game, some of the important details may get overlooked. 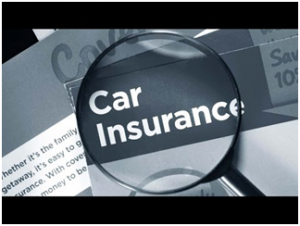 Not fully understanding your auto insurance can lead to further confusion and frustration later on. The more informed you are, the better choices you will make. Below are some common “TRUE or FALSE?” statements to consider when buying car insurance. False! According to the DMV.org, there is no such thing as full coverage auto insurance. Some policies may combine state-required liability, collision and comprehension coverage–but even with this, the details and protection will vary. TRUE or FALSE: Get as many auto repair estimates as possible. Sometimes true, sometimes false! This one depends on your insurance. Some insurance companies only require that you use an “in-network” auto repair shop. However, if you know you will be paying out of pocket, it won’t hurt to shop around for a good deal. TRUE or FALSE: Getting into an accident automatically increases your premium. False! This one also depends on your insurance and how your insurance provider determines your rate. Multiple factors such as your car and your driving history can have an effect on whether your rate increases, decreases, or stays the same. TRUE or FALSE: I can lend my car to anyone. My insurance will cover it. Not necessarily. If none of the parties involved have optional physical damage coverage, you might be having to pay out of pocket for any vehicle damage. TRUE or FALSE: My new car is automatically covered by my previous auto insurance. False! Whether you are buying a new car or simply adding another vehicle to your policy, you must notify your insurance agent. Often you have 30 days to do so. Call Insurance Town & Country today and speak with one of our insurance professionals. We can help you review your policy and ensure you understand all the fine-print details! We have offices in Denver (303-388-7216) and Castle Rock (303-688-1251). Call us today to schedule your consultation! According to a survey by the Independent Insurance Agents and Brokers of America, about 20% of drivers just might be paying too much for car insurance. With the various driving discounts that are out there, how do you know if you are getting the savings you deserve? Tips On How Insurance Payment Works. How many vehicles do I own? Being a multi-vehicle owner could lead to more savings. Insuring your boats, motorcycles, or RVs and other toys with the same insurance payment company you have your auto insurance with can potentially help you cut down on costs. Can I pay in one lump sum? If you can afford to pay your auto insurance in full, you might get a break on the final bill versus sticking to the standard monthly payments. Can “going green” make me some green? Depending on the agency, opting for paperless billings may lead to even more savings. In addition to saving a tree, you might also be saving a few dollars. How loyal am I? If you’ve been with the same insurance payment company for a while, you may see the benefits in extra perks and added savings. Are my kids making the grades? Many insurance companies reward teen-drivers for being good students. Additionally, if your child’s good grades got them into college (and not driving your car as often), there’s a chance you can still get that discount. Call Insurance Town & Country today and speak with one of our insurance professionals. We can help with a policy review to determine which rates and discounts are suited for you and your family. We have offices in Denver (303-388-7216) and Castle Rock (303-688-1251). Call us today to schedule your consultation! Immediately below is an Accident Checklist or “I Had a Car Accident, Now What?” Checklist. Print it off and keep it in your glove box (along with a pen) to help you save time, money and a lot of headache after an automobile collision. Before you have the opportunity to get into a collision, make sure that you have your Car Accident Checklist, a disposable camera, a pen, and a pad of paper in your glove box to document the damages to your vehicle. Then you will be more prepared for when you get unexpectedly rear-ended in traffic or someone runs a red light and T-bones your car. After a car accident, you will be pretty shaken-up, but it is important to remember the SEPC steps to handling a collision. This may be incredibly difficult, but will help you to assess the situation and find solutions to the problems at hand, instead of making things more complicated. Take a few deep breaths, collect yourself, comfort others in the vehicle, and start thinking about what to do next. Talk to everyone else involved, start with your vehicle. Make sure that nobody is in immediate need of first aid. If they are, call 911 and begin working to help the injured person/people. Check your vehicle to make sure that there is no impending danger, like a fire, fuel leaks, or environmental hazards like downed power lines. This may involve moving your vehicle to a safer area; for example, if the car accident happens in the middle of the road, pull to the side to reduce the likelihood of additional collisions. Check on the individuals in the other vehicle/vehicles as well. Damage can be assessed later, but reducing injury is always the top priority. Once everyone is safe, begin taking pictures of the accident and damage. Do this before anything gets moved by the police or other driver/passengers. After you feel like you have taken plenty of pictures, take out your pen and paper and write down what happened. Then talk to any witnesses to the car accident and get their names, numbers, and what they saw. Talk to the other party as well, get their names, numbers, and their account of what happened. Even if you don’t agree with their version of the story, it is more important to get their information than to argue. Trade insurance information and then wait for the police. If you called the police after Step 1, they should arrive before or shortly after completing Step 3. It is important to provide as much information as possible, continue to remain calm, and request an accident report. It may feel like a lot of documentation, but it is important to be as thorough as possible. It will make processing the insurance claim easier and ultimately more quickly in addition to providing a claim or defense during a lawsuit resulting from the car accident. This list is also available on our website with some additional tips; you can read it by CLICKING HERE. 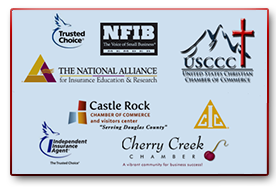 We have two offices located in Denver and Castle Rock for your convenience. If you have any questions about your current auto insurance policy, bundling options, or if you need to make a claim; please call, email, or drop-in at either location listed below and one of our Insurance Specialists will gladly help you. In the case of a catastrophic financial event, Personal Umbrella Liability Insurance could be the best line of defense you’ll ever have. Sometimes in life things just go wrong. Let’s say that you get into a terrible car accident, you’re hurt, the other person is hurt, and on top of that, they decide to sue you. Your basic insurance policy might not cover all of the damages, the medical expenses, and the legal costs. That’s where personal umbrella liability insurance becomes important. A personal umbrella liability insurance is a customized additional policy that extends the protection of your basic insurance policies to help when a true financial crisis arises. Additionally, it may cover situations that aren’t covered at all by your basic insurance policy. Umbrella policies are meant to be flexible and match your lifestyle. You may need much more protection, depending on where you live, what you do for work, the size of your family, your hobbies, and the vehicles you drive, whether they are automobiles, boats, ATVs, or an RV. However, your current insurance policy may already provide you with a comfortable amount of coverage. Either way, it is always a good idea to review your policy and ensure that you will be protected in the case of intense financial liability. We at Insurance Town and Country make it our mission to see that our clients and their families are provided with ample protection at an affordable rate. You can learn more about our Personal Umbrella Liability Insurance, click here. If you have recently experienced a change in lifestyle or just want to make sure that there aren’t gaps in your insurance coverage, give us a call at 303-388-7216, shoot us an email at contact@insurancedenver.net, or request a quote online.